EVERYONE HAS A WORLDVIEW! Everyone has a worldview. It is how we see the world around us, and it is the filter we use for interacting with others. Our worldview is something that develops over our lifetime. It is formed by our upbringing, our environment, our experiences, our education, our religious beliefs, our culture, and everything else that touches our lives. 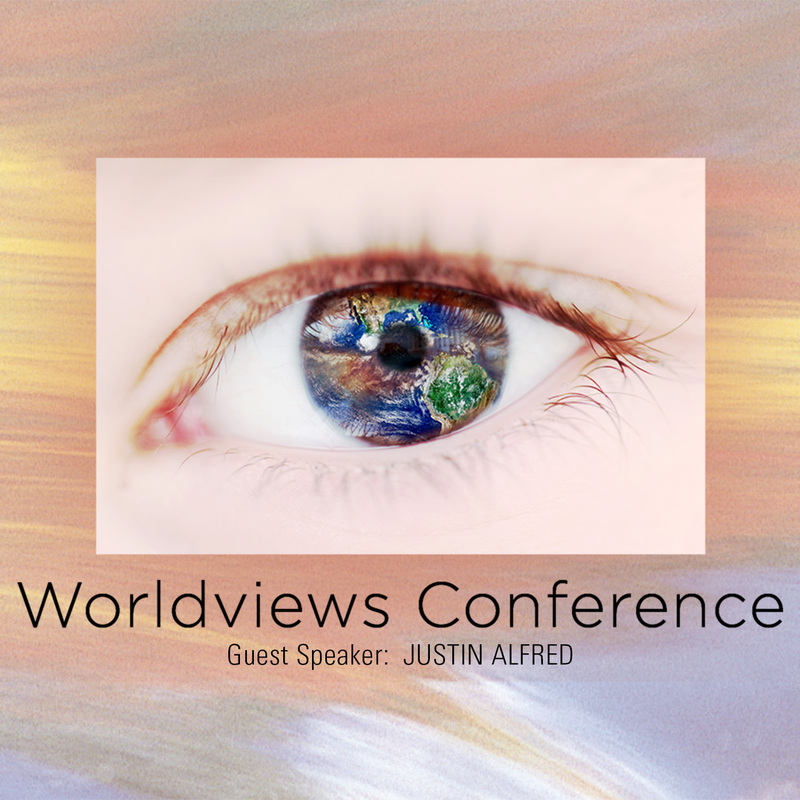 Justin Alfred helps us to understand the different worldviews and how they impact our lives. Session 2 – Philosophy The word "philosophy" literally means, "love of wisdom." However, as we will see, there is a worldly love of our narcissistic selves, out of which comes a philosophy based on the premise that we are indeed "our own gods." Now certain groups may not actually refer to themselves as "gods," but that is indeed what is happening, as man-centered philosophies focus on the idea that through the pursuit of knowledge, just as Aristotle proclaimed, we can reach a point of "self-deification," whereby we will be able to understand all of the mysteries of the world. However, Psalm 139:14 makes it quite clear that the very essence of our being cannot be grasped apart from the starting point that God, in His infinite wisdom, created and formed the most minute microcosms of the entirety of creation. EVERYONE HAS A WORLDVIEW! Everyone has a worldview. It is how we see the world around us, and it is the filter we use for interacting with others. Our worldview is something that develops over our lifetime. It is formed by our upbringing, our environment, our experiences, our education, our religious beliefs, our culture, and everything else that touches our lives. YOUR WORLDVIEW IS AFFECTING YOUR WHOLE LIFE! Our worldview is often something we don't think about, but it impacts every facet of our lives. Not only that, but others have worldviews which are dramatically different from our own. It is often in those differences that conflict takes place. Most people believe their worldview is the correct one, and therefore, other worldviews are wrong. Understanding our own worldview and the worldview of others may not solve all the issues of life, but it equips us to work toward a positive outcome. WHY A WORLDVIEWS SEMINAR? This seminar is offered to help you understand some of the major worldviews and how those worldviews impact significant areas of thought and life. You should come away with a better understanding of why you see the world the way you do and why others behave the way they do. In an ever-increasingly confusing and conflicted world, there is growing fear and hopelessness because people don't understand why things are the way they are, either in their life, or in the world around them. This Worldviews Seminar should help you to understand why things are the way they are, and that understanding will point you to the hope and peace available to anyone who wants it.